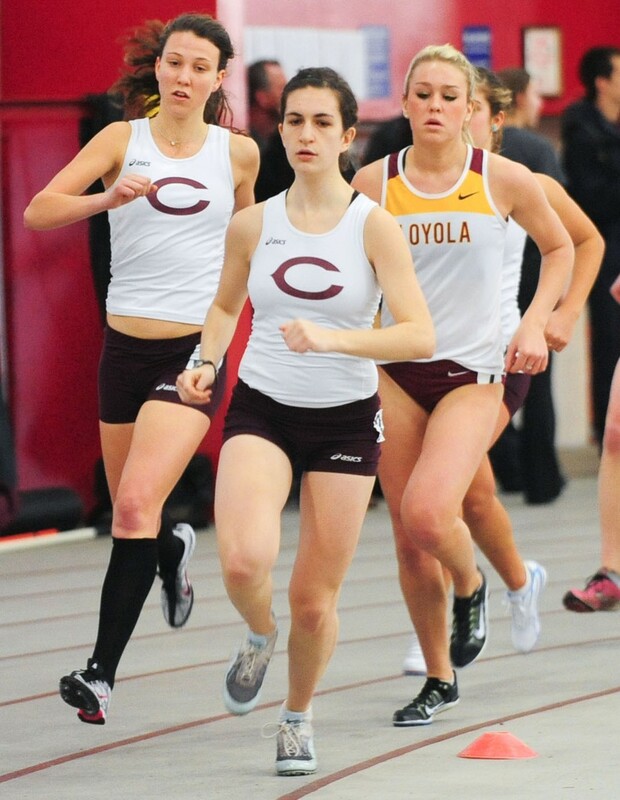 The impassioned work ethic and grit of fourth-year Julia Sizek and first-year Catherine Young was on full display this weekend at the NCAA DIII Outdoor Track and Field Championships in La Crosse, WI. Despite coming home without a victory, both Maroons performed well in Saturday’s 5,000m final, maintaining their reputations as formidable competitors. Sizek, just two days after she was named an All-American for her fourth place finish in the 10,000m, placed 16th with a time of 17:22.33, putting her within a minute of the winner, Christy Cazzola of UW–Oshkosh, who finished with a new stadium record of 16:31.17. “I think that I performed to the best of my ability given my current level of fitness, and I don’t think that I underperformed at all,” Sizek said. “The only difference that would have really changed my performance over the weekend would be if I were in better condition." The 5,000m final was Sizek’s last race as a Maroon, bringing to a close a remarkable career and a season in which she has been named an All-American in cross country and indoor and outdoor track. But, as ever, Sizek remained focused on the task at hand. Young, competing at the NCAA Championships for the first time, finished ninth in the 5,000m with a time of 16:57.89. When asked about the tutelage she has imparted to her teammates, Sizek answered modestly. “If there is anything to learn from my running career—which I sincerely doubt—I hope that it would be that hard work pays off,” she said. Regardless of how Sizek feels she has impacted her teammates, it’s clear that there’s a close bond between them. The heralded fourth-year has good feelings about the future of Chicago track and field.